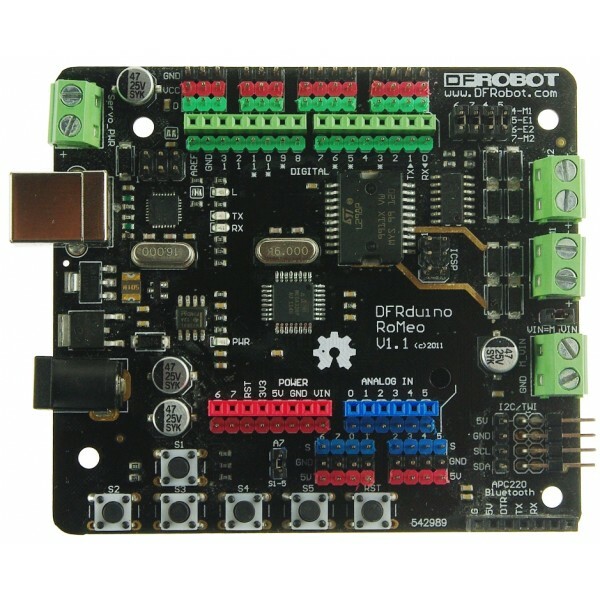 The DFRobot Romeo All In One Robot Controller V1.1 features an Arduino Uno compatible microcontroller, a motor driver, buttons and more. 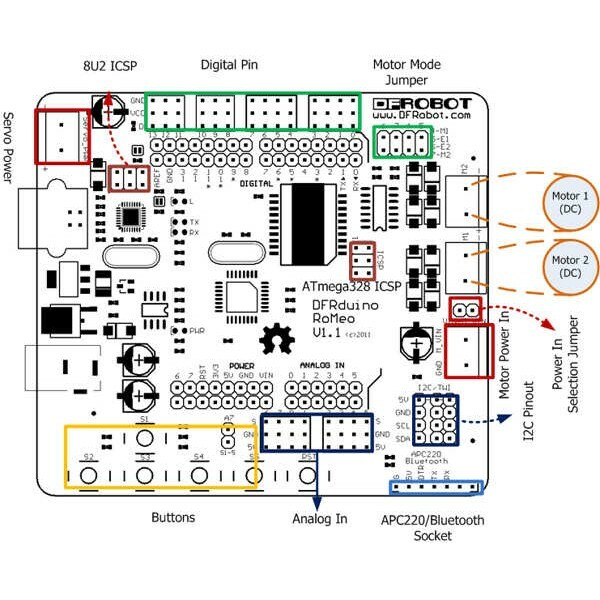 This robot controller uses a beginner friendly ATMega328 programmed with the Arduino Uno bootloader for seamless integration with the Arduino IDE. 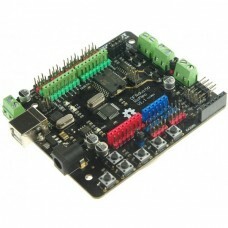 The board has dual motor drivers capable of delivering up to 2A at 12V to each motor. Five jumper enabled buttons connect to a single Arduino input pin A7. There are 14 digital GPIO General Purpose Input Output pins that are available via 3 pin SVG Signal Voltage Ground connectors and 8 analog inputs available via 3 pin SGV Signal Ground Voltage connectors. Motor and servo power supplies can be supplied from external sources or use standard Arduino power sources. ISCP and I2C/TWI ports also provided. 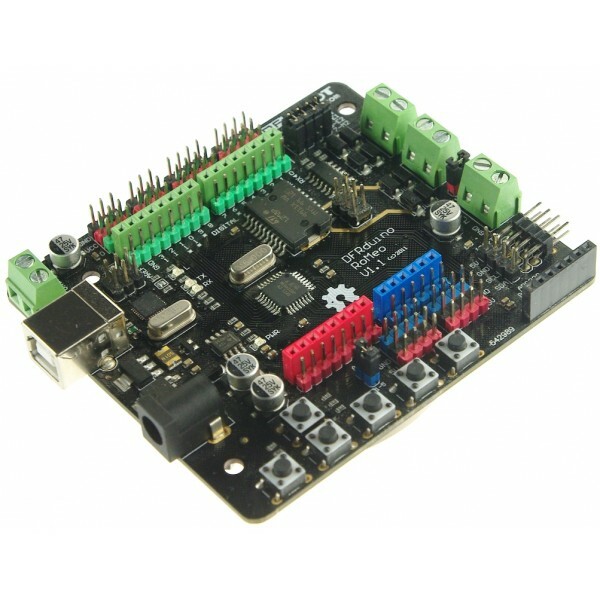 Although larger than an Arduino Uno, it can be used with most Arduino compatible shields.